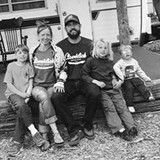 "The electricians who care about people, the environment, and quality work every time." Residential, commercial and service work. 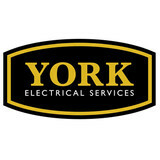 At York Electrical we believe you deserve an honest, clean, and most importantly, a professional experience. Does your electrical system give you grief? Don't put up with it any longer! Call Chadwick Electric Service for fast and experienced troubleshooting and repair. Since 1971, we have proudly sent technicians to our neighbors within the Fort Collins, CO area, from Berthound to Wellington, whenever they have needed it. We have made a commitment to provide prompt and timely service to our customers. Unlike many electrical contractors that do service work as filler to their normal construction work load, Chadwick Electric Service has put the emphasis on SERVICE. Our trucks are stocked with wide variety of electrical materials, proper tools and test equipment which support our technicians in efficient installation, diagnosis, and repair. We examine each system carefully before we get to work. Our inspections ensure that when we fix your wiring, panels, or breakers, we discover and repair the problem the first time. We are proud of our heritage in the electrical business and we pride ourselves on delivering the highest quality results to our customers in everything we do. Count on Chadwick Electric Service to make your electrical system functional and safe again in a flash. What do licensed Lafayette electricians do? An electrical contractor plans, installs and repairs wiring in structures. He or she works closely with the home’s general contractor or remodeling contractor to determine the specific electrical needs for the project and to ensure that the wiring will meet Lafayette, CO building codes. An electrical contractor’s job also includes installing and repairing fixtures, switches and other visible components of electrical systems. With today’s technological needs and advances, many electricians in Lafayette, CO also are trained to install fiber optic and coaxial cables for electronic equipment. Certain electrical companies may design and install data systems and wire for security features such as alarms too. Some Lafayette electrical contractors specialize in specific areas, such as HVAC, low-voltage appliances and systems and more, so be sure to ask about their training to see if it fits your project needs. Find a certified Lafayette electrician on Houzz. 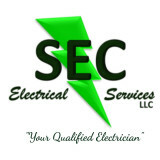 Narrow your search in the Professionals section of the website to Lafayette, CO electrical contractors. Here are some related professionals and vendors to complement the work of electricians: Lighting Showrooms & Sales, General Contractors, Solar Energy Contractors, Heating & Cooling Sales & Repair.